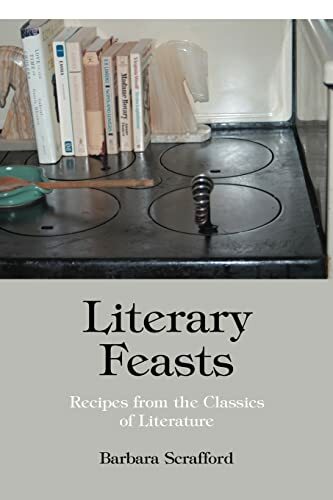 Barbara Scrofford's Literary Feasts: Recipes From the Classics of Literature was my choice for the Cookery, Food, and Wine category of the Mixing It Up challenge. It took me a long time to choose something for this category; I think I'm fooded out. I've read so much over the last few years on food-related subjects--nutrition, sustainable agriculture, clean eating, humane farming, all manner of cookbooks--that I'm somewhat tired of the subject. So this book, if I must read one more about food, looked like a nice change from all that, and literature-related to boot. And if I found it only slightly interesting, that wasn't the book's fault, and it was still a nice change. Literary Feasts looks at 25 classic novels through the prism of food. Each novel gets a synopsis and a short discussion of the foods mentioned in it and how those foods are used in the novel--to symbolize sublimated feelings, to illuminate differences between social classes, to paint a picture of life in a particular time and place. That was the interesting part for me; I had only previously read about half of the books mentioned, so I enjoyed the synopses and food discussions. And I had not thought of some of these books in terms of food, so even those I had read before appeared in a new light. Somewhat less interesting, surprisingly, were the recipes. Maybe it's just that I'm not much of a cook, or maybe there weren't as many options in the past as we moderns are used to, but I got a little tired of reading recipes for various types of cake, pie, and boiled dinner. Some recipes I looked for but didn't find--where was Mr. Woodhouse's gruel (Emma)? I don't even know what gruel is, but I'd like to. A few were bizarrely fascinating: apparently in 1930s California (Cannery Row) you could get beer milkshakes in restaurants. So, a pleasant diversion: a book about food that's really about literature. I think that gruel is watered down oatmeal, but I'm not sure. Blech!